Creative sports photography is something we are very passionate about. We believe that everyone deserves high quality portraits. Obviously, that includes sports teams as well. Long gone are the days of standard photos in the gym or on the field. 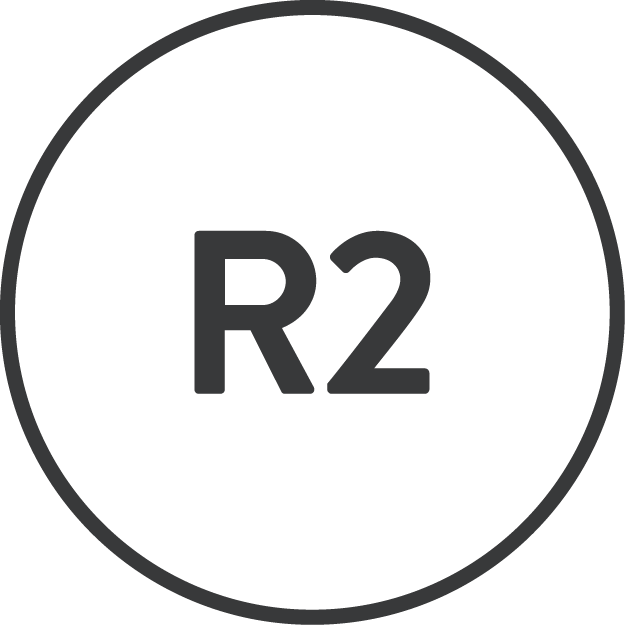 The R2 Studio wants to create a entire new world of sports photography. Something different, innovative and original. 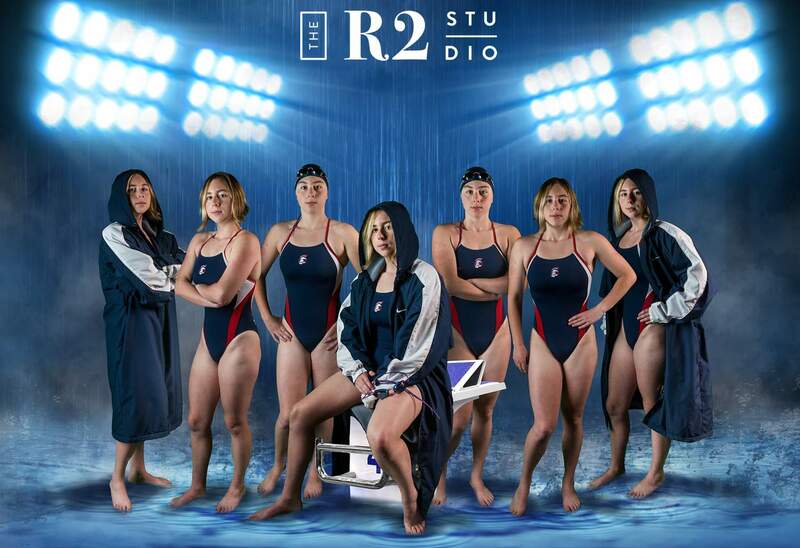 The R2 Studio has experience with soccer, hockey, volleyball and track. This time, we got to test some of our sports photography skills on a subject we’ve never had before… a swimmer! Say hello to Jillian! 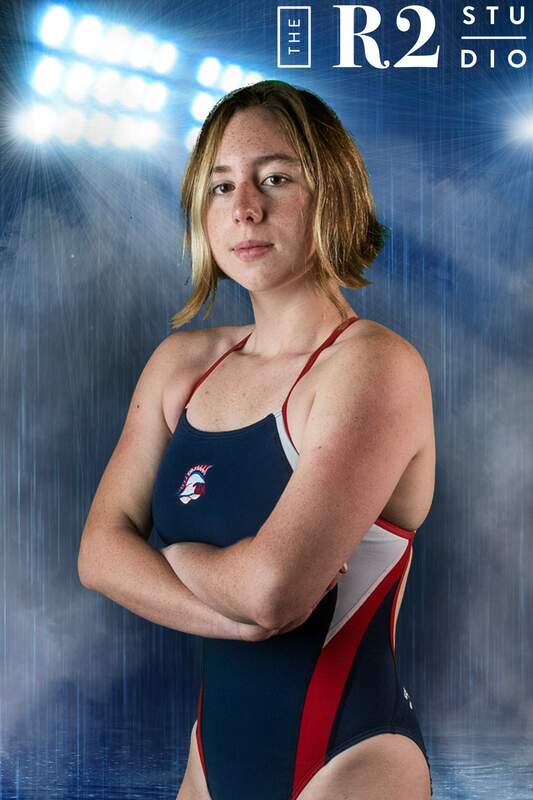 Jillian swims for Flagstaff High School and with a team at NAU. We waited a long while to do this session in hopes of using a pool. However, we were able to be even more creative with some green screen. We’ve mentioned it before, but Robin is amazing about using what we have available. It’s especially fun creating these team environments. The days of getting everybody together in one spot and taking 20 minutes to find a pose that works are GONE. We have a way of taking pictures of each individual person in their own style, and then editing them together later. This way, each team member can bring their own personal flare, while still contributing to a team photo. Also, if someone is sick or unavailable the day of the session, they can still be a part of the team photo! Isn’t technology great? Additionally, that’s the great part of having a studio right in the heart of downtown Flagstaff. Everything that we need to create amazing sports photography is right under one roof. We just need you and your team! R2 would love the opportunity to capture more athletes in Flagstaff. It doesn’t matter what sport you’re looking to capture, give us a call! We’d love to broaden our horizons and give your athletes the gift of personal, creative imagery. We offer a handful of inclusive sports photo packages that include keychains, magnets, mugs and water bottles! More than that, we have a crazy fast turnover rate! We can guarantee that you will receive your photos much faster than any other company. Call The R2 Studio today to inquire about your own sports photography!